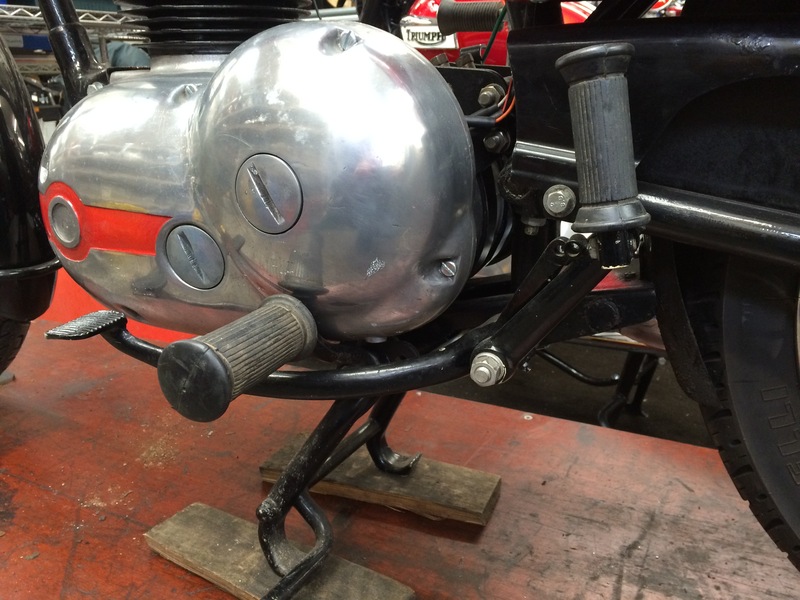 AJS & Matchless Owners Club - View topic - Rear brake and front footrest assmbley.? View topic - Rear brake and front footrest assmbley.? Rear brake and front footrest assmbley.? Hi all, I'm after some help please, I have now fixed my oil pump issues I had on my model 14, but on putting the bike back together I can't quite remember how the rear brake pedal assmbley and front footrest go back together, I think I have it right but not 100% sure. I would be very greatfull of a picture of the assmbley as none of the manuals I have do not show this. Re: Rear brake and front footrest assmbley.? Many thanks for photo, I'm after a picture from the underside so I can see the spring arrangement. I am sure this has been discussed recently and with pictures. Have you tried searching the topics. This may be difficult as people so often go off topic, so making it more difficult to search.